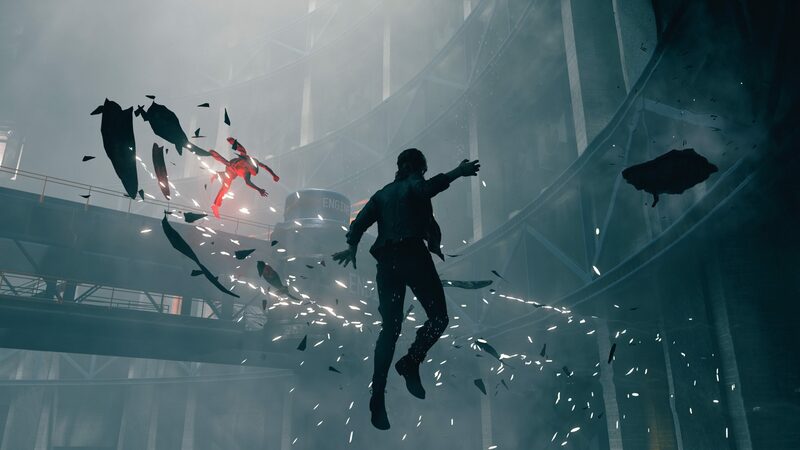 This Nvidia showcase of the combat in Remedy's Control is supposed to serve as an impressive tech demo. It's meant to highlight the difference in visuals when ray tracing is on, functionally an ad for Nvidia's new line of RTX GPUs. It is GDC, after all -- the time of year that most celebrates tech advancements in games. It's neat, although maybe not neat enough to convince most folks they need to immediately upgrade to a new graphics card. However, this video also gives us a proper glimpse at the combat systems in Control, something we haven't seen much of. There's a free-flowing quality to it, like floating and dodging and shooting and throwing objects just comes naturally. It's like some sort of inevitable evolution of Max Payne's bullet time and all the supernatural stuff Quantum Break did -- but, without actually bending time like those two games were structured around. Control is a mysterious, unknown quantity right now. Remedy could have anything up its sleeve. We'll see how it all pans out when Control releases later this summer on PC, PS4, and Xbox One.